A "short sale" is a real estate sales transaction in which the seller's mortgage lender agrees to accept a payoff of less than the balance owed on a property's loan. This typically happens when a borrower can’t pay the remainder of the mortgage loan on their property, but the lender decides that selling the property at a moderate loss is a better alternative than foreclosure. Short sales are different from foreclosures because the lender forces a foreclosure, while both lender and borrower consent to a short sale. Consent between these parties may suddenly change, however, such as if the borrower becomes obstinate and forces foreclosure, or if the lender disapproves of the sale price. If the property is collateral for a second mortgage from a different institution, it, too, must agree to the short sale, which may further complicate the transaction. Banks incur a smaller financial loss from short sales than losses resulting from foreclosures, which cost lenders billions of dollars, mainly through the expense and time required to foreclose on the borrower and subsequently market the property. If the borrower owes $30,000 on their home, it’s often worth it for the bank to waive that amount, as the expense may be as much as $50,000 per foreclosure, according to a study by the U.S. Congress Joint Economic Committee. While a short sale will damage the seller’s credit rating, a foreclosure causes even greater credit damage. The process for a short sale is also faster, cheaper and less emotional than a foreclosure, in which former owners are often forcibly removed from their homes. Short sales, however, do not necessarily release the borrower from the obligation to pay some or all of the remaining balance of the loan, known as the deficiency. The bank, depending on state laws, might be able to go after the seller for the remainder of the loan after the home sells. Also, in these states, known as recourse states, the IRS can treat the unpaid portion of the mortgage as taxable income. Communities, too, invariably prefer short sales to foreclosures, which drag down the real estate market of whole neighborhoods. Vacant foreclosed houses, many of which have been ransacked by former owners or vandals, further reduce the property value of neighboring homes which, in turn, increase the likelihood of more foreclosures. Of course, communities don’t have much of a say in whether a home short-sells or forecloses, which is partly why a federal rule was issued to streamline and encourage short sales. As of April 5, 2010, the various parties that must consent to allow a short sale – the borrower, the lender, the investor who owns the loan, and the bank that owns the second mortgage (provided there is one) – are all offered financial incentives to consent to a short sale. 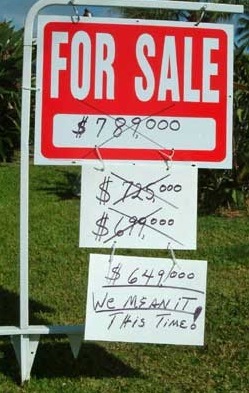 The property’s market value has dropped. The mortgage is near or in default status. The seller can prove that they have few assets. Tax returns and financial statements may be required to prove that the borrower has no stocks, bonds, or other real estate, for instance, which may be used to pay off the balance of the loan. Obtain legal advice from a competent real estate attorney. Consult with an accountant to discuss the tax ramifications of buying a short sale. Hire an InterNACHI inspector to inspect for problems typical of short sales and foreclosures, such as pests, mold, water damage, and/or structural defects. Realize that short-sale sellers have fallen behind on their mortgage payments, making it likely that they have neglected basic building maintenance and repair, or even intentionally abused the building. Presale inspections, which are suggested for all real estate transactions, are as critical for short sales as they are for foreclosures. In summary, a short sale is a compromise consented to by the lender and borrower in order to avoid foreclosure, and can be a better financial deal for all parties involved.